“Brother, if anyone is caught in any transgression, you who are spiritual should restore him in a spirit of gentleness. Keep watch on yourself, lest you too be tempted” (Gal. 6:1). Church discipline is both painful and awkward. How should we interact with those under discipline? What should we do when we meet such people while shopping for a birthday present, when we sit next to them at work, or when we see them getting mail from their mailbox? What should we say? Fortunately, the Bible gives us clear direction. Jesus exhorts us to “let him be to you as a Gentile and a tax collector” (Matt. 18:17). Romans 16:17 says, “avoid them.” Paul orders the church at Corinth not to associate or eat with them (1 Cor. 5:9, 11). Paul concludes in 2 Thessalonians: “Have nothing to do with him, that he may be ashamed. Do not regard him as an enemy, but warn him as a brother” (3:14-15). Recover biblical community. The consumer-driven model adopted by many American churches makes it difficult to carry out biblical church discipline. People hop from church to church for superficial reasons such as music style and children’s programming. The New Testament model of a congregation that is committed to one another and takes care of one another is rare; thus, discipline often does not have its intended effect. People who have been confronted for their sin often think, “Fine! I’ll just go down the street and join another church,” and may be accepted into membership without question. Nothing is really lost in church discipline. In the Old Testament, when someone was expelled from the community, he could not simply go down the street to join another people. Being separated from God’s people was devastating, and we see the same picture in the New Testament. We need to recover biblical community where the church is a family that shares life together, where exclusion means something. Excommunicate those who refuse to repent. Under Christ’s authority, the church should remove the person from membership and treat him like a lost person. This tragic action is necessary in order to keep unchecked sin from contaminating the entire body and to avoid sullying the name of Christ (1 Cor. 5). But from what else should the church remove the person? Should they be removed from corporate worship, small groups, or from taking the Lord’s Supper? Certainly, the unrepentant should be barred from the Lord’s Table as well as other benefits of church life. Each church will have to determine the extent of these actions for itself. If a church practices the “one another” commands of the New Testament, then the excommunicated could potentially attend corporate worship while still feeling the force of their dismissal because they no longer share life with their brothers in the same way (for example, they do not break bread together anymore). However, if a church is not practicing biblical community well, then I would argue that they must bar the person from corporate worship so that the force of the excommunication is felt. Do not eat with those under discipline. Scholars debate Paul’s exhortation not to eat with the excommunicated. Does he mean the Lord’s Table only, or does this prohibition extend to any meal with the unrepentant? Table fellowship in the New Testament seems to include the Lord’s Table but extend beyond it (Acts 2:46). Therefore, meals in a home or at a restaurant that were previously enjoyed cannot continue. 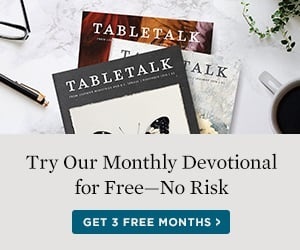 Also, in many churches, the significance of the Lord’s Table needs to be recovered—perhaps by observing it weekly—so that being barred from participating in it is perceived as a real loss. Interact with those under discipline only to call them to repentance. The purpose of this break in relationship is to wake the unrepentant up to the danger they face. But church members should never be rude to this person. They should be friendly, but not close friends. One thing that is clear in Paul’s guidelines to the churches is that he does not intend for the excommunicated to be completely shunned. Paul exhorts the church at Thessalonica to “have nothing to do with him,” and then in the next verse to “warn him as a brother” (2 Thess. 3:14-15). So, while not completely ignoring him, you also do not act as if nothing has changed. When you see him in the store, you should not ignore him. Rather, you treat him as someone in danger and in need of an intervention by calling him to repentance. Pray and act for eventual repentance and restoration. The intended outcome from this painful separation is always repentance and reconciliation. Brothers and sisters should continually pray that the action of the church under the authority and approval of Christ would bring restoration. What should we say to those who are under discipline? We should lovingly call them to repent, and as we do, they should hear the words as if they were coming from Jesus Himself.